So this week we have had a bit of the flu in the house. Yesterday was one of the first days out of bed for this little guy so I decided to do some at home fun with him. 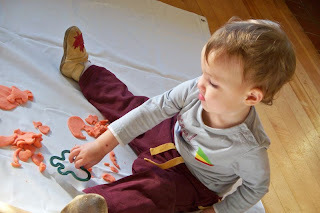 I whipped together a home made play dough recipe and we went to town on his coloring mat. I loved the idea from frugal family fun of having a big washable shower curtain to use to color on with crayons, washable markers or chalk. 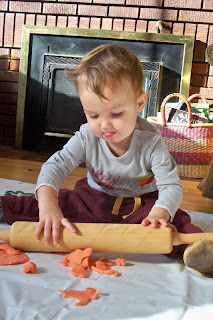 It also worked really great for playing with the play dough. This heavy duty curtain was purchased at a yard sale for only $1!!! I had a bunch of plastic cookie cutters that I let him use to play with as well. The recipe for the play dough was fast and simple. Mix dry ingredients in a bowl. Add oil, then pour boiling water in and mix thoroughly. Store in air tight container in the fridge. Should last a few months! Oh my I just love these cookies and since the babe is now feeling better, had a touch of the flu this week, I decided to make a batch of these to munch on while I sew up some baby gifts. 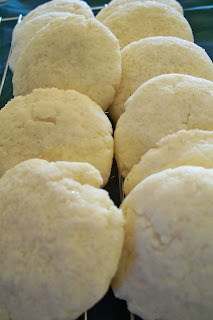 The recipe is from Taste of home they are a delicious soft cookie with a hint of nutmeg. The best part is the course sugar that I sprinkle on top. I just noticed the recipe says it makes 6 dozen...wow. I didn't get that many only 2 and then some maybe thats because I like these cookies a bit bigger! So here is my last meal plan for the month of October. Sorry there isn't any pictures but I am just putting this together fast this morning...we had a long weekend with a flooded basement! This was a big hit at the dessert table this Thanksgiving!!! I found the recipe over at CD Kitchen! The recipe was so simple to make and easy on the budget as well. I had bought the cream cheese and cool whip on one of my trips to the states for 0.99 cents each!!! And all the other ingredients I had laying around the house. For the cookies I made them myself using our ginger crinkle recipe. So here is the recipe and for the complete recipe head on over here. In a mixing bowl, beat cream cheese and sugar until smooth. Beat in pumpkin. Add pudding mix and pumpkin pie spice; mix well. Gradually beat in milk. Fold in whipped topping. Spoon in some of the pumpkin mixture. 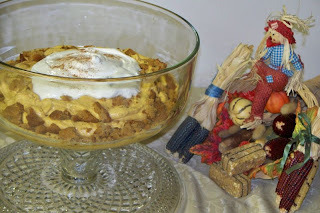 Break up cookies and layer over the pumpkin mix; repeat layer on more time and top with some extra whip cream! Spoon about 1/4 cup each into serving dishes. Crumble 2 gingersnaps over each. Divide remaining pumpkin mixture among dishes. Garnish with a whole gingersnap. Chill until serving. Refrigerate leftovers. 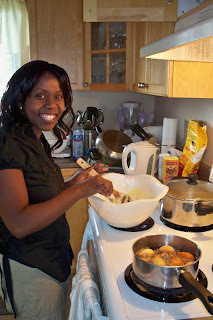 Since moving here 4 years ago I have wanted to learn how to make these delicious "African" doughnuts that my friends make. So my friend Lilian and I decided to tread off some cooking skills. 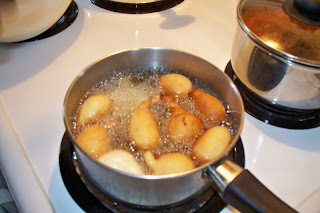 I showed her how to make mashed potatoes and she showed me how to make the doughnuts. Now she doesn't follow a recipe but did a good job to write one out for me. The doughnuts are kind of little fritters but a little sweeter! I am glad I know how to make these now! They are always my favorite at our parties and pot lucks! This is a delicious meal that my mom is famous for! I am so excited to be making these for supper this week! Fry up onions with garlic, ground steak (mom bought us some in the states), green and red peppers. Add your favorite BBQ sauce. 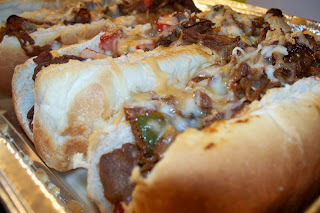 Place meat mixture into sub buns; grate cheese on top and bake until golden brown!!! We will be serving these with homemade french fries! So last weekend we celebrated our 2 year anniversary of living here in the bestest court!!!! So to celebrate we wanted to give each neighbor a gift and with the 24 lbs of apples we picked up this is what I came up with. 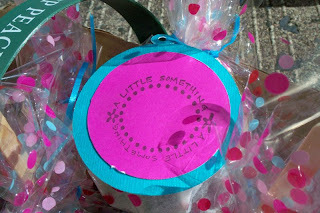 I got this recipe from my friend Niki who made over 100 of these for wedding favors...she is one brave women. I wasn't that courageous to attempt that many my first time so I just did a little over a dozen. They were a labor of love that is for sure. So here is the "recipe". You take caramel candy (peel them) and melt them down. I melted them in a coffee can or apple juice can in a double boiler and to make it creamier you add a little bit of coffee cream. Now don't add too much cream cause it will make the apples too sticky...trust me I had it every where!!!! Once they are dipped you place the apples on a cookie sheet lined with PARCHMENT paper NOT WAX paper...please every one repeat after me...NOT WAX PAPER. It will make an absolute mess. Now your job is done for the day just leave the apples in the fridge. 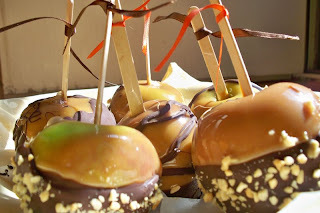 The next day you want to dip them in the chocolate so place apples in the freezer for ~1 hour (try not to leave them too long it makes the apples turn funny). Then you melt down some chocolate, I used chocolate chips, but use whatever you usually do and dip your cold apples in the chocolate. Once they are dipped top with score bits, peanuts, chopped nuts, candy sprinkles pretty much anything you can find in the house. Tie some nice ribbon around them and ta-da they look great and taste even better!! 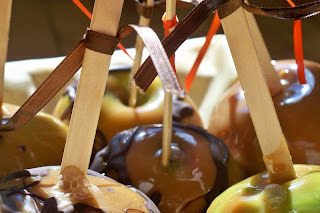 To give away as gifts we wrapped them up in gift wrap but be sure to put parchment paper under the apples. We have lots of peach baskets so I put the apples in them and delivered them to all our special neighbors! 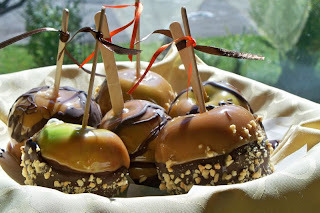 I will be braving the caramel eliminates again this week as I prepare some of these for our family for Thanksgiving!! Oh this to me this the most wonderful time of the year. I love fall decorations outside on peoples lawns and steps. I just love the colors of mums accompanied with hay, corn stocks, pumpkins and gourds. Also I love how nice the tables look at Thanksgiving meal and of course I love the foods that we eat at this delicious feast!! 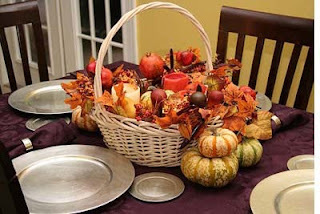 I will be sure to take lots of pictures of our families feast this year so I can show you all! 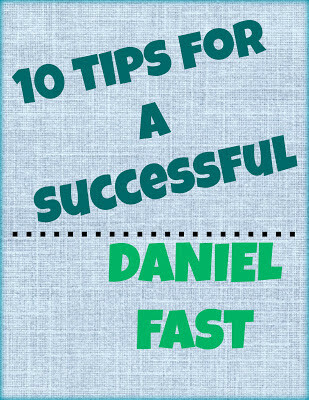 This week will be a busy week as we prepare for the thanksgiving weekend and I have lots of good ideas I want to do that I will be posting all week so keep reading as you may want to try them for your family! This is a great way to get a lot of meals out of one batch of rice. I posted a while ago how I used left overs in the fridge to make some Quesadillas but this time I didn't have anything in the fridge so I made up some Mexican Rice. Cook rice and add to the water some Taco Seasoning. Once cooked add some corn (frozen or canned) to the pot along with salsa, beans (I did have some maple beans left over), and peppers. Once done take Tortillas and place mixture in the middle of the shell. Top with cheese and fold the shell over. Bake in a 350 oven for 10-15 minutes and serve with sour cream and salsa. 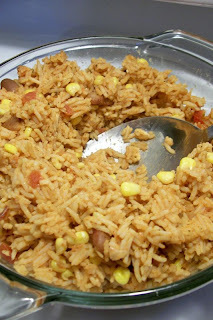 These are great to have when company comes over or to have the rice made up in the fridge for a quick and easy lunch!